When it comes to cricket gears, there is a lot that you have to bring with you in every game. Whether it is for practice session, casual matches, or competitive plays, you need to have the essentials. These will include your bat, helmet, thigh pads, trousers, socks, and shoes, among others. To make sure that you will be well-organized, you should invest in a cricket bag. Among others, Gunn and Moore cricket bags are some of the favorites within the product category, even amongst seasoned cricketers. Dubbed as England’s finest cricket brand, Gunn and Moore may be known for their bats, but they have also made a favorable reputation because of their high-quality bags. With 125 years of experience in the sport, it is obvious that the company has found their place in the global market. While many other brands have surfaced in the past years, Gunn and Moore remains a force to be reckoned with. If you are looking for simplicity and functionality, the GM Full-Length Bat Cover should be on the top of your list. It comes with a padded cover that will provide the protection required by your bats. Even if it is accidentally dropped or if you bump into a hard surface, you can be confident that the bat will not end up with cracks. Plus, there is a carry handle that is easy to adjust based on the length that you find to be most comfortable. The GM Original Duplex Wheelie is also a choice that is favored by many. Compared to the older versions of the bag, the newest design comes with 55% more storage space, which means that you can bring more in every game. The versatility of the bag is also excellent, allowing you to access your things regardless if the bag is positioned vertically or horizontally. Even if you are in a cramped space, you can easily get hold of the things that you want. There is also a Bat Cave, an innovative section of the bag that will provide the highest level of protection for up to two bats. Another popular option is the GM Original Duplex Wheelie. It has an attractive three tone color, making it an attractive choice. It also has the standard features in their wheelie line, such as vertical and horizontal access. It has a stand-alone system to keep the bag in an upright position, regardless of the weight of its load. In terms of its construction, this can also prove to be an exceptional pick. It is made using 1680 denier polyester, which is thick enough to withstand wear and tear while being able to retain minimal weight. To make it longer lasting, the manufacturer also integrated anti-scruff corners and rust-proof zippers. 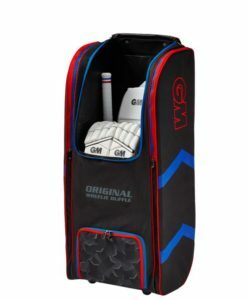 The GM Original Duffle is another option worth considering if you are on the lookout for the best Gunn and Moore cricket bags. It has ample space for storage of all your cricket essentials. Even if you can bring more, it is a convenient cricket bag. One thing that makes it comfortable is the padded shoulder straps. Carrying it will not cause too much fatigue as the weight will be distributed evenly. It also comes with integrated tunnel for your cricket footwear. The gusseted side pockets, meanwhile, will allow you to bring two bats. 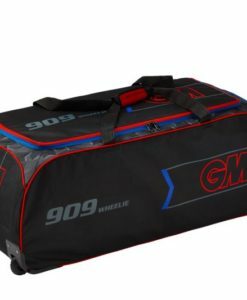 If you want a smaller bag with more than enough space for your cricketing essentials, on the other hand, you might be impressed with GM 707 Duffle Junior Bag. It has a volume capacity of 85 liters. There are gusseted side pockets for your bats. It can carry two bats at a time and can provide you with an assurance that they will be secured in their place. The padded straps are also nice, making sure that your shoulders will remain comfortable when carrying the bag, even if its capacity is maximized. 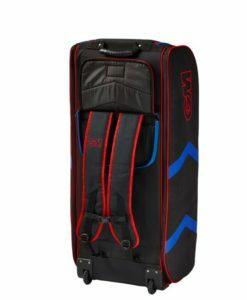 Are you looking for the best Gunn and Moore cricket bags? There is no need to search far! We have the right products for you. Shop from our wide selection of gears that are available at the best prices. Even if you dare to compare, we are confident that our prices will be hard to beat!